Thanks to the work of the Florida Solar Energy Center (FSEC), more than 100 emergency shelter schools (Enhanced Hurricane Protection Area) now have solar panel systems of 10 kW in capacity installed on them. 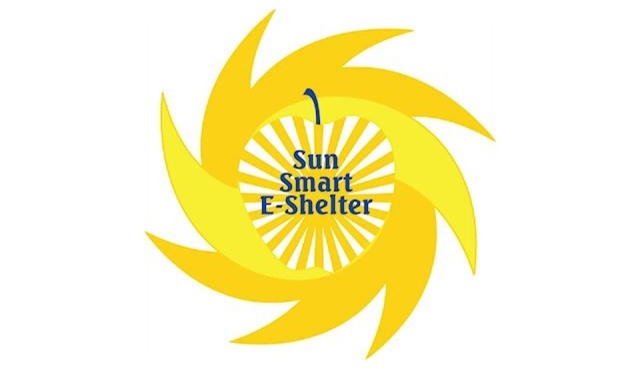 The SunSmart E-Shelter Program, which has now added more than one MW of solar generating capacity to Florida, was brought about by partnerships with the US Department of Energy, the State of Florida, utility companies, the University of Central Florida, and companies in the state’s solar industry. These solar installations on emergency shelter schools reduce the daily electricity costs of the schools, serve as an educational resource for students learning about renewable energy, and can serve as an emergency power source during an outage, due to their battery backup systems. The solar energy systems have also been used as a learning resource to educate over 250 Florida teachers about the science and application of solar PV, and a companion STEM curriculum was created for their students. The curriculum encourages best teaching practices through project-based learning that enables students to solve problems using critical thinking and data analysis. In addition to the curriculum, which is available to anyone online, each school received a kit of instruments that allow students hands-on opportunities for learning, turning ordinary classrooms into mini-photovoltaic laboratories. It’s estimated that over 50,000 Florida students have now been exposed to solar PV and other renewable energy technologies through the SunSmart E-Shelter Program, and the schools themselves serve as a focal point for community educational events about solar, as well as solar’s role as a power supply during emergencies. The locations of all of the Florida schools in this solar program can be seen at EnergyWhiz, which serves up the energy data (as well as activities and information about energy programs for K-12 students) as part of the SunSmart Schools E-Shelter Program. The SunSmart E-Shelter Schools Program was picked for an Honorable Mention for the 2013 Photovoltaic Project of Distinction Awards, which were awarded by the Solar Energy Industries Association (SEIA) and the Solar Electric Power Association (SEPA).